We offer Premier Support which covers remote/phone support for a block of hours (up to 2, 4, 8, or 15 hours) with one of our DiditBetter Software certified engineers for help with DidItBetter Software product installations, updates, upgrades, troubleshooting, relationship set up or modifications. This isn’t a ‘Use It or Lose It’ type support plan, meaning the remaining time doesn’t expire until it’s used up. Any time remaining after a scheduled session may be used for future remote/phone support requests. If additional time is needed or extra time was used, you would buy another block of hours. Sessions are held by appointment during our normal business hours Monday through Friday between 9 am and 5 pm ET (last appointment at 4 pm), excluding holidays; after hours available and billed at time and half for every hour. 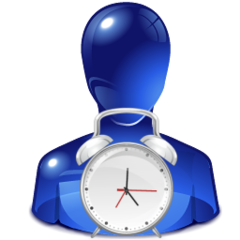 Each remote session has a half hour minimum with any time thereafter billed in 15 minute increments. NOTE: Premier Support is different from your Software Assurance which covers free updates and upgrades available for download from the web and basic email support for the duration of the software assurance term.